Here is a mod I put together recently. It’s based on personal needs for specific ships to fill in gaps I experienced when playing Starsector. Initially this is a personal project, but since I receive much precious help on the forum, I figure it would be nice to publish it. Starsector has some inspiration in Battletech universe, which is a dystopic sci fi setting where there is plenty of technology but nobody understand it or is able to emulate it. This inspired me as I was thinking that there was lacks of ships filling several role in faction. I was also inspired by the blog post about the history of the sector. I wanted to create ships based on needs of each faction, but which are limited by their actual ability to design new ships. This means that most of them don't have fancy ship system or they have a specific role and are not always able to cop with vanilla ships. • Give more flavor to Persean League and Luddic Church fleets by adding ships specific to these factions. 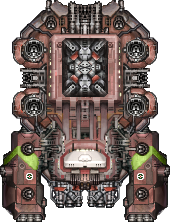 • I never done spriting before, some of the ships ar kitbashed and other are build from scratch. I prefer to come back later to them instead of waiting the sprites to be « perfect » to publish it. They could be improved, but for now I want to have several « ok » ships than just one or two « good » ships. • I did the best to balance ships with vanilla, but if someone think a ship should be nerfed or bousted, he is more than welcome. • English is not my first language, I did my best but there will probably (certainly…) remains typos in texts. • Many ships have a similar role to ones you can found in Disassemble Reassemble mod by AxleMC131 (most notably the Revenant and the Hoplite). It was not intended, as I’ve already draw prototype of ships before knowing this mod. In fact I suspect that AxleMC131 created his mod with the same premice than me : filling in gap in available ships in vanilla. I suggest playing this mod with Disassemble – Assemble as they both share similar aims : news ships to fill in vanilla gaps. -Upgraded sprites for Copernic, Hoplite. Cool, looking forward for new content from you. 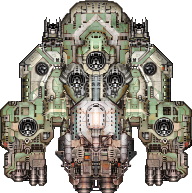 In addition, I'm currently doing my own ship pack for starsector here: https://bitbucket.org/lechibang/spiral-arms-ship-pack using sprites taken from the sprite dump thread, but it's not currently getting anywhere just yet. Looks like you're off to a decent start Major! And you are right, DaRa aims (just like SWP) to fill in certain niche roles that the stock game seems to be lacking ships for, as well as adding some unique content that perhaps other players or modders had never considered before. Now, do bear in mind that I have not played or even downloaded your mod yet, but I thought I'd give some immediate feedback, as useful resources per se. First and foremost, if you aren't already on it, don't forget that Starsector has an "unofficial" Discord channel were a large portion of the community gather to discuss the game, including basically all of the big modders. It's a great place to discuss ideas, hear direct feedback and also learn techniques and skills for modding in general. Second, I notice that a few of your ships share class names with ships from other mods. This is generally bad practise, and can often cause confusion for players and sometimes - worst case scenario - game crashes, when two mods are using the same file names for two different ships. To avoid this, there's a helpful database of ship, weapon, faction, hullmod, system, etc. names used in most mods. If you come up with a name for a ship, it's always a good idea to check there first and make sure it's not already used. Anyway, that's all I can say from my current standpoint. Spriting is extremely hard and you're very much a beginner, so I'm not going to judge any of your ship sprites here, but if you are looking for help in that regard, again do come to the Discord channel and ask for assistance. Basically everyone there will be willing to provide assistance - including yours truly if you happen to be in the right timezone, hehe! Seriously, you should give it a try. Assembling the mod is not the hardest part, and it's probably one the funniest. In my case, after playing with AxleMC131 mod, it gives me encouragment to create mine. So I took its mod folder, and start removing files and folders I knew I would not need at the beginning (sounds, weapons....). Alex did a great job at making the game easy moddable. Most files are alterable with notepad, others are .csv and pretty self explainatory. Ship files and variants are easy to create with Trylobot shipyard software. Even the error log are ok to read. Ha! This was something I was espected to come across! Honestly I was pretty sure it would happen, but I didn't care at the moment because :1) I'm not expecting this mod becoming a top 1, 2) I didn't want to look for names of ships for every existing mod. I wasn't aware of this compilation file. Will do the necessary changes. Thanks! Yeah, I'm starting to consider to join it. But, writing in english is something, speaking in a microphone and understanding other peolple is another thing. Oh, no one uses voice chat! All the discussion takes place in the text chat. I really like the look of Revenant! I'll add this to my current modded campaign to try it out. Those frigates and the Revenant look awesome. Nice job. Really like the original art-style of the Copernic and Bulwark. The opportunity looks like it would be interesting to blow up. 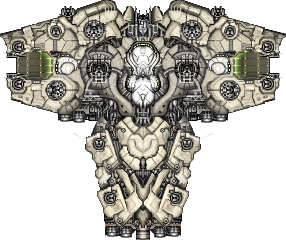 Most notably I added 2 new ships, 3 skins, and upgraded 2 sprites, while changing names for several ships. Also, it would be really nice if someone tried it and have thoughts on balance. -Small mid-range flak shotgun. Fire 6 slug with a slow rate of fire. You should PM a moderator and ask him to move this topic to the mods section. Yes you're probably right... I will wait for the next batch of stuff to be implemented (in maybe 2 or 3 days). I still have some problems wit a new weapon I made. This one is more about fixing thing (mostly sprites) and adding lore for existing stuff. I got a little bit distracted by doing other ships. The Ballista missile destroyer was not on my to-do list by was a great fun to kitbash from the Prometheus. For now its a medium mount, 3 missiles package, energy dmg and high emp value. Speed of a harpoon but manoeuvrability of a Pilum. Dont use it against frigates. As always, C&C are welcome. 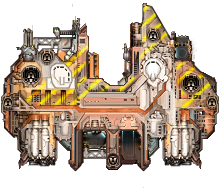 -Hull mod for Luddic ships which upgrade hull, lower supply consomption but lower speed. -The Wagner get a new ship system, a Fire COntrol which increase its range by 20% for a short period. Thanks to mendoca for moving the thread. Next upgrade, I want to try creating 2 new systems to increase available military market for Tri-Tachyion, Luddic Church and Neutral. I also want to include 3 missions to allow people to discover the new ships.